Companies benefit from professional maturity, which enables them to translate organizational strategy into success, drive business improvement, and gain a competitive edge. High performance is associated with project management maturity. 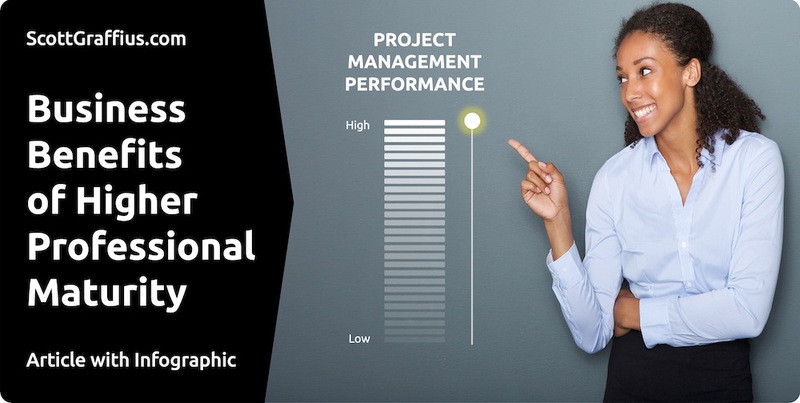 Our partners at Exceptional PPM and PMO Solutions have a downloadable infographic with practical tips on how to effectively advance professional project management practices and maturity levels. The file is available here.